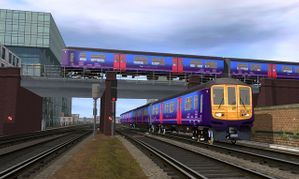 3rd Rail EMUs': Electric Multiple Units that run off the 750V Third Rail. 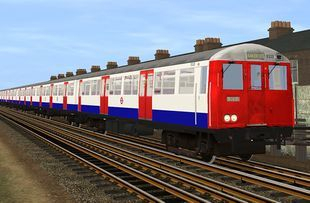 London Underground Stock: Electric Multiple units operated by London Underground, that run off the 650V Fourth rail. 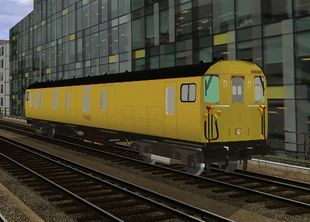 Electric Multiple Units that run off the 750V Third Rail. 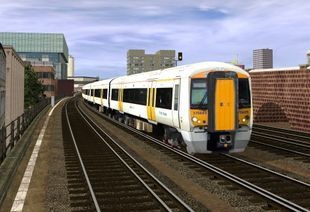 Description: The Class 375s were built by bombardier to replace the slamdoor units operating outer suburban services in Kent and Sussex. 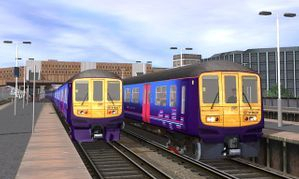 The first Class 375s started operating in 1999 and continue in service today. 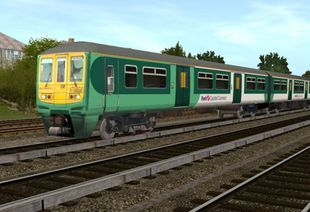 The entire fleet is operated by Southeastern trains. 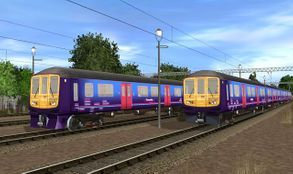 Description: The Class 377s were built by Bombardier to replace the slamdoor units in operation on the southern central division. 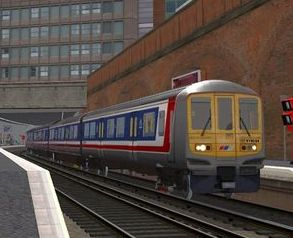 The 377/1s were the first to enter service in 2002. They continue to operate express and outer suburban services for Southern to this day. 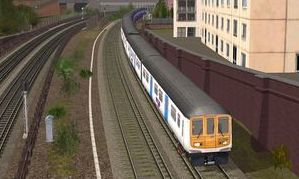 Description: A Class 416 2-EPB in BR Blue and Grey Livery. Notice: Some dependencies will need to be downloaded from the WEN Content Downloads Page, in the Class 416 & 416 section. 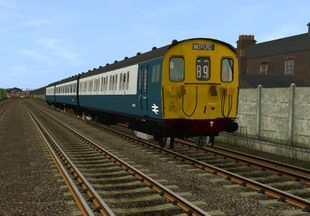 Description: A Class 419 in Railtracks first livery. 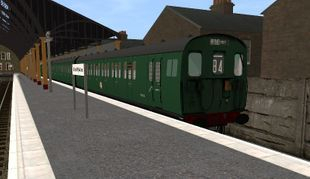 Description: A Class 419 in Railtracks second livery. 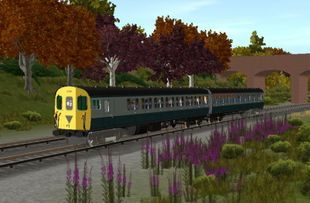 Description: A Class 419 in Network Rail Livery. 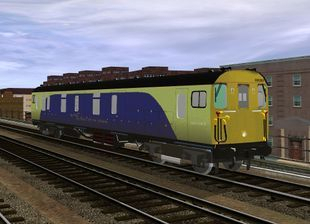 Description: Southeastern Yellow Stripe livery Class 465/2, units should be formed like thus: DTSO + TSOL + TSO + DTSO. 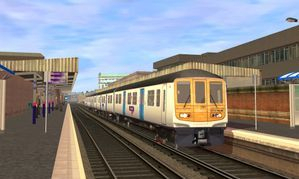 The Class 465s are used in Suburban services in London and Kent. 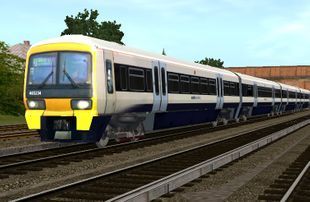 Description: Southeastern Blue Stripe livery Class 465/2, units should be formed like thus: DTSO + TSOL + TSO + DTSO. 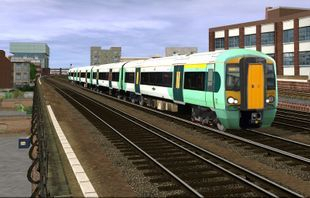 The Class 465s are used on Suburban services in London and Kent. 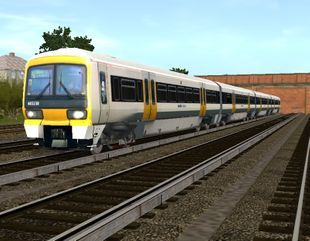 Description: Southeastern Yellow Stripe livery Class 466 DMOS, units should be formed like thus: DTSOL + DMOS. 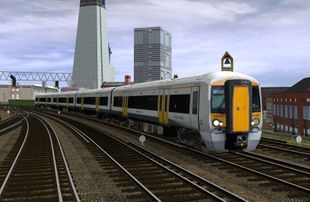 The Class 466s are used on branch line and suburban services in London and Kent. 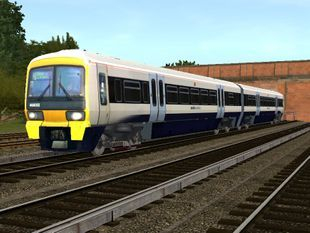 Description: Southeastern Blue Stripe livery Class 466 DMOS, units should be formed like thus: DTSOL + DMOS. 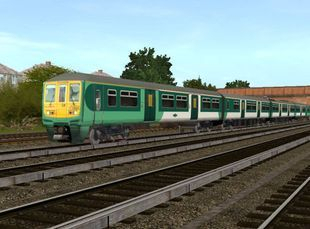 The Class 466s are used on branch line and suburban services in London and Kent. 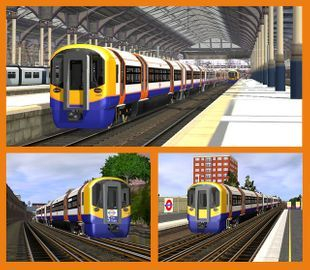 Description: Pack includes London Overground Class 476 in both dual voltage and third rail modes, for operation on the North London Line, West London Line, East London Line, South London Line and Watford DC Lines. 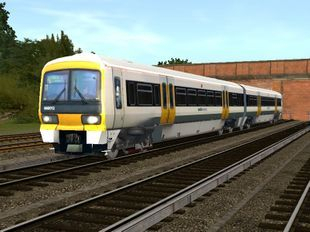 Pack also includes a Class 346, much like the Class 476 except it can only operate off 25kv OHLE and is intended for operation on the Liverpool Street to Chingfield, Enfield and Cheshunt Lines. 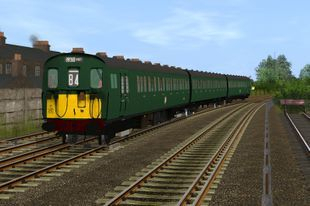 Pack Contains: LO Class 476 DMSO, LO Class 476 DMSO (5 car), LO Class 476 MSO, LO Class 476 PTSO, LO Class 476 PTSO (Third Rail Only), LO Class 346 DMSO, LO Class 346 MSO, LO Class 346 PTSO, LO Class 476 4 Car Consist, LO Class 476 4 Car (3rd Rail Only), Consist LO Class 476 5 Car Consist, Consist LO Class 476 5 Car (3rd Rail Only) Consist, BT13 Bogie with Traction Motors, Class 377 Horn, Class 477 Cab Lowered, Dellner Coupling v2, Class 477 EMU, BT13 Bogie (For Trailers), Brecknell Willis High Spped Pantograph (4.88 Metres), BT13 Bogie with Traction Motors and Shoes. Tested In TS10, TS12 and TANE. 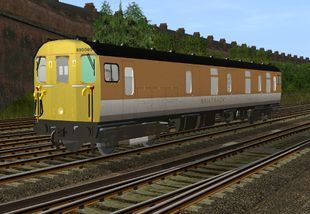 Description: The Class 501s were introduced in 1957 and operated the LM Region Suburban services in London, out of the Euston and Broad Street termini. 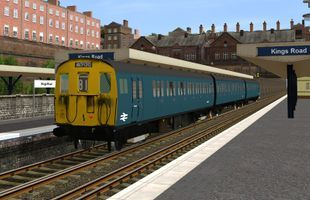 The services were subject to considerable contraction during their lifetime, some of the units were withdrawn in the 60s and 70s but the majority survived until 1985. 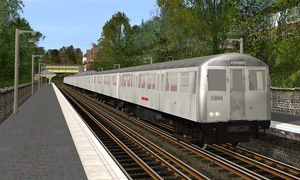 Description: The London Underground A Stock was built by Cravens of Sheffield between 1960 and 1963 in two batches for the Metropolitan Line modernisation scheme. 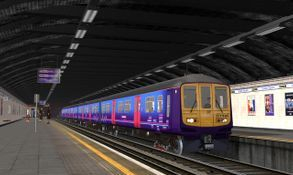 They spent most of their time operating on the Metropolitan Line although some units were used on the East London Line. They were refubished in the mid 90s. 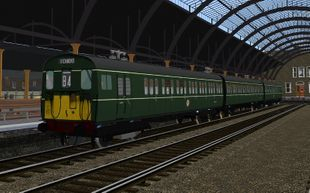 The last A Stock was withdrawn in September 2012.